Found besides the waters of Lake Claremont is a small, but lovely nature playground. 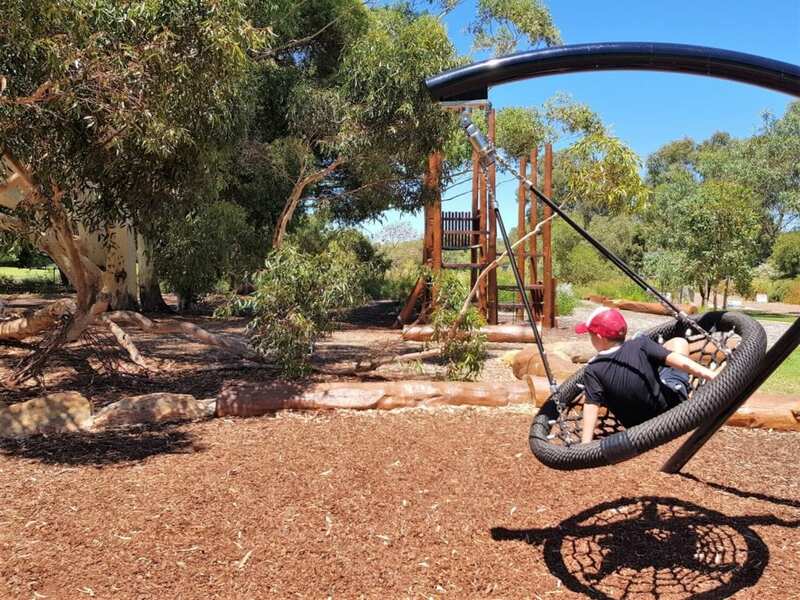 The newish play area opened in July 2018 and has been designed for primary school aged kids, though little ones will love the sand play! The main fort structure is suitable for older kids, as it is made up of wooden steps and rope to climb up to the top. Once you’re at the top, the “floor” is also made out of rope, so there’s no solid surface to stand and play on. 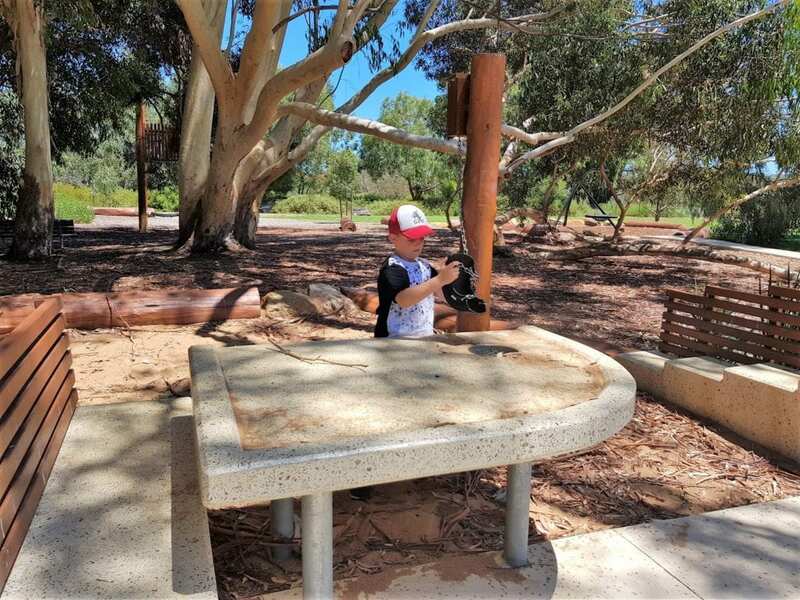 There’s a large concrete sand-play table, with a tyre to scoop up the course red sand, attached to a pulley to get it up to the table top. Here there’s a grate to pour the sand into, and get rid of the leaves and sticks. The stone bench makes it easy for little kids to stand on and see the top of the table too! A nest swing will easily fit a couple of kids, to swing away, whilst looking up at the trees. 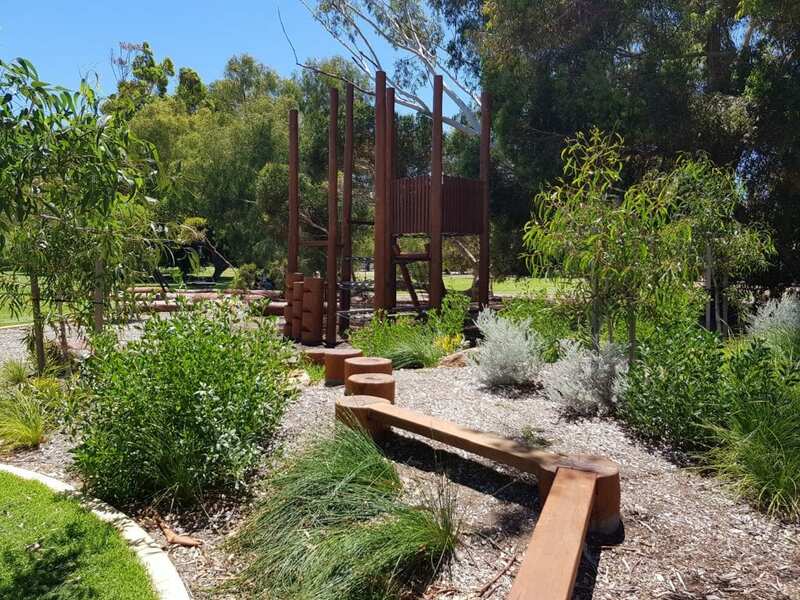 The playground also has a wooden obstacle course, with long logs to balance on and stepping logs too. 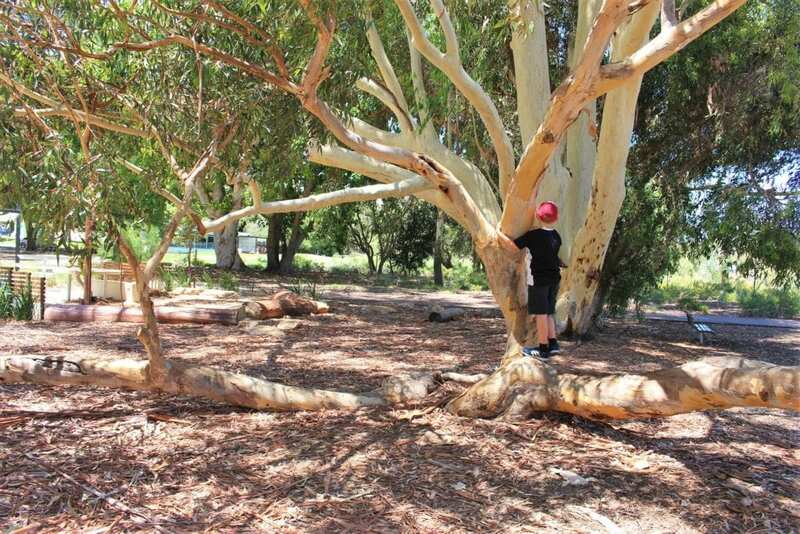 A massive gum tree shades the equipment many of its branches lay close to the ground. Making it perfect for tree climbing! 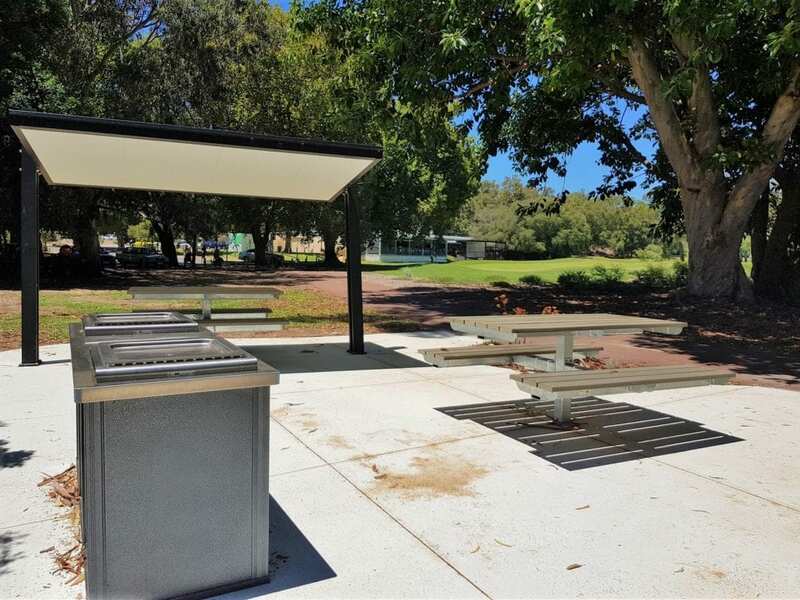 There are shaded seating areas and BBQ facilities next to the playground. There is a flat cycle path that winds around the lake. 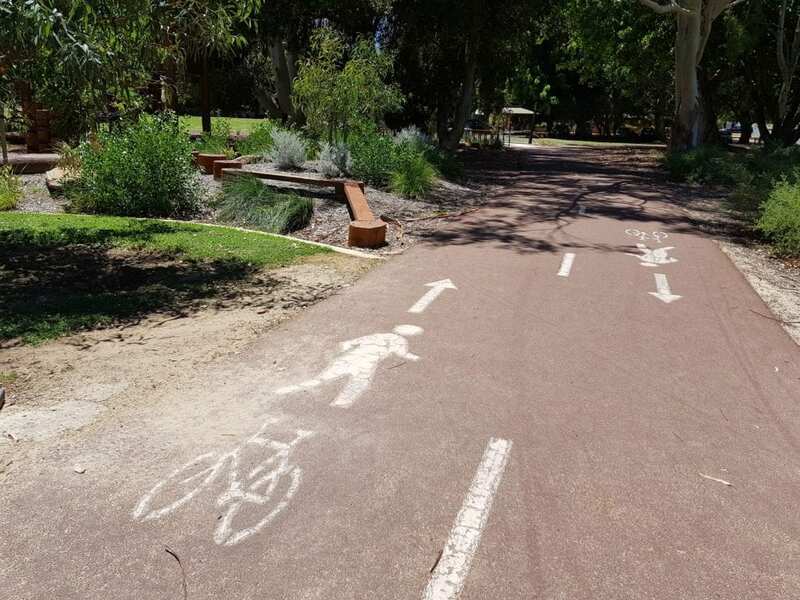 I’d definitely encourage kids to take along a scooter or bike and take a ride around. There is a large grassed area too, with plenty of space to run around or kick a ball. 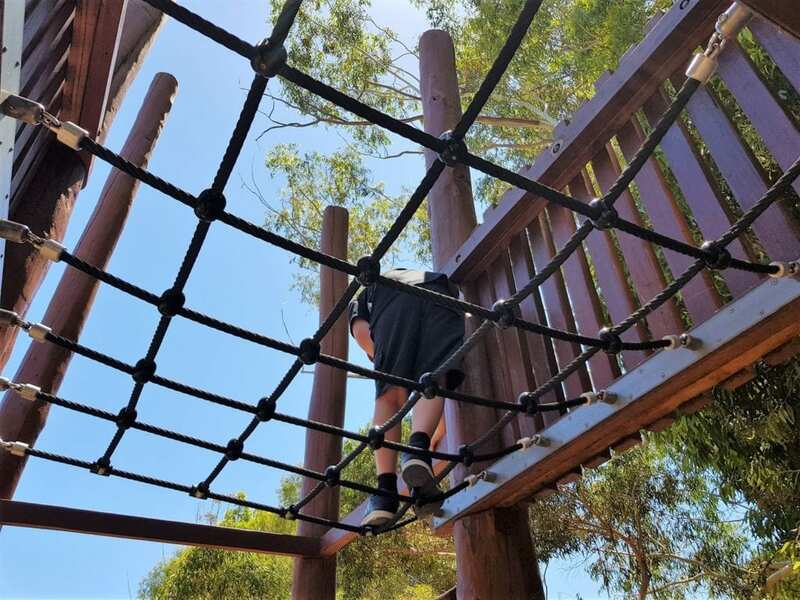 The park has another playground that is more suited to toddlers at the southern end of Lake Claremont. 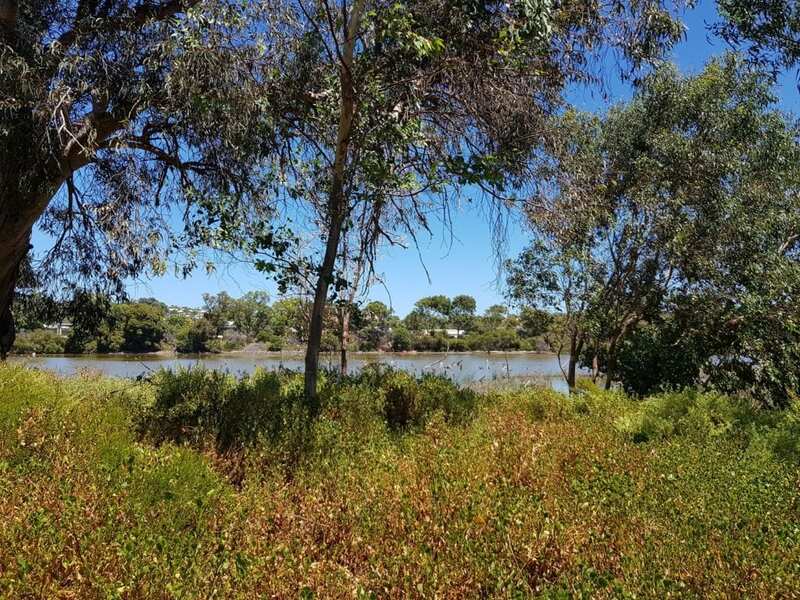 Lake Claremont is a brilliant spot, with two playgrounds, pathways and the picturesque lake that’s teeming with birds and other wildlife. 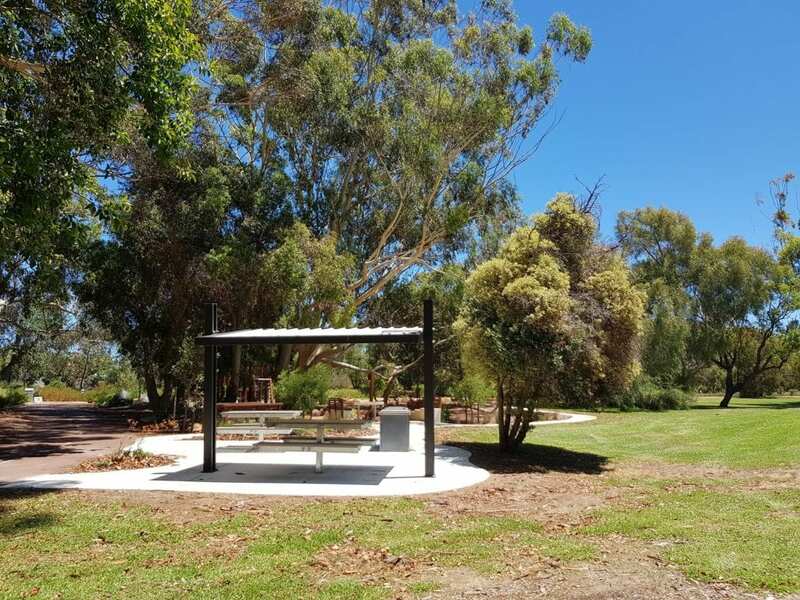 It would be great spot for a picnic under a big gum tree! Lake Claremont Nature Playground is found on the eastern side of the lake, by Claremont Golf Course (where there’s also a handy café for a coffee and snack or toilet break). 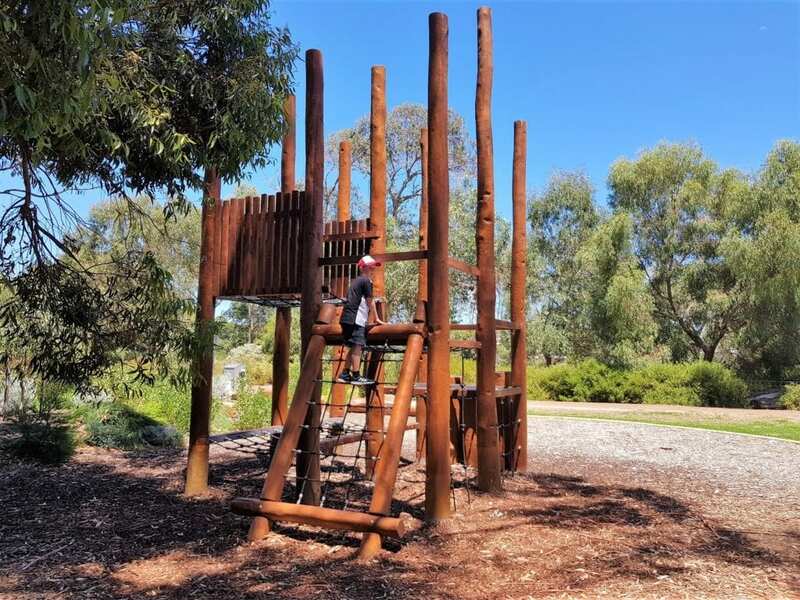 Find Lake Claremont Nature Playground at Lapsley Road, Claremont.